For the past two years, the Pompano Golden Tornadoes have come out of a difficult 5A-14 as district champions. On Thursday, this group of Pompano players, who advanced to states last year, will have a chance to cement their legacy as one of the greatest baseball classes in the history of the school in they can pull off their third straight district title. That opportunity comes after the Tornadoes closed out Coral Springs Charter 3-1 in their district semifinal game Tuesday night. On this night, with ace Trevor Kniskern unable to throw, and Chase Costello also on the shelf, Giummule went to perhaps the Tornadoes most reliable pitcher of 2018, Mike Schuler. Coming in with an ERA of 1.78, He was saddled with the task of shutting down a Panthers team that had played an epic 18-inning game just two nights before. The right-hander responded to the challenge, throwing six innings of shutout ball, before surrendering his only allowed run of the night in the seventh inning. The effort was not lost on his manager. As has been the case with Pompano’s most recent playoff runs, the team used an aggressive style of offense to get the lead on CS Charter, and starter TJ Lopez. 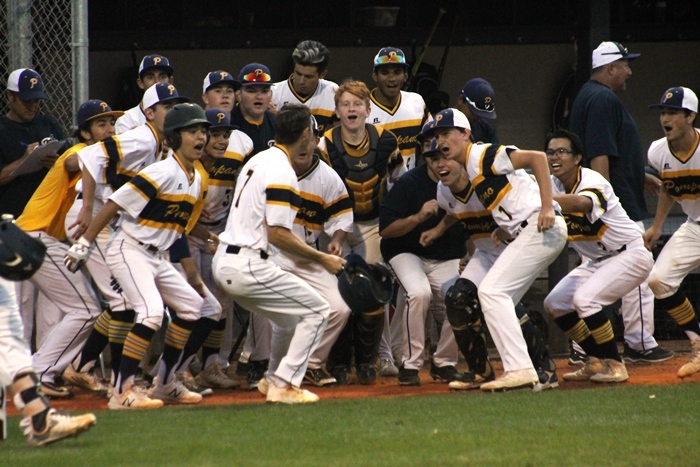 Pompano stole bases, played small ball with situational bunting, and came up with a couple big hits to give Schuler the three run cushion he played with most of the night. As good as the Tornadoes were offensively, it was Schuler who starred on this night. He allowed only one hit, to Matt Magrann, and struck out eight while not issuing a walk. What they have in front of them is a battle for the district title with North Broward Prep. Pompano has knocked the Eagles out of the playoffs the previous two seasons, once in the district quarterfinals, and the other in the district semifinals. This year, regardless of the outcome of the title game, both teams will be advancing to regionals, but one team will do so at home, and the other on the road. 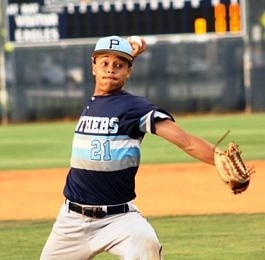 As for the Panthers, they finish their season with the memory of one of the most epic games in years, their 18-inning 3-2 win over Pine Crest in the district quarterfinals. 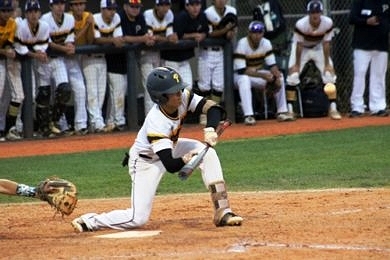 The district final will be played at 7PM today at North Broward Prep.